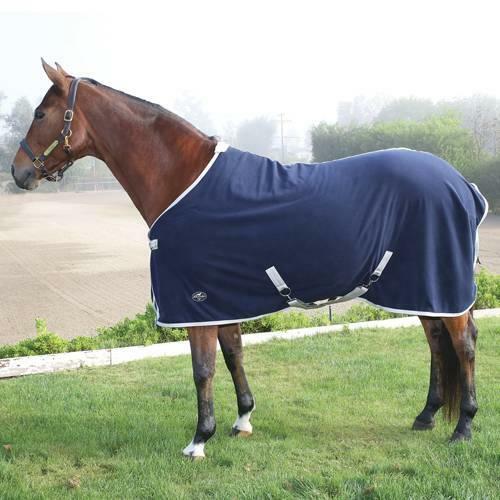 Professional’s Choice Cooler is made of high quality, moisture wicking 280g fleece, ideal for use following exercise or bathing. A single strap front closure, criss-cross belly straps, and a tail rope keep the cooler in place and allow for easy application. Nylon lining at the chest and fleece lining at the withers prevent rubbing. Size Select... Small 68" - 72" Medium 74" - 78" Large 80" - 84"